Once decided on the area of search and armed with some knowledge of the characteristics of depositsto look for, then you are ready to explore. Most areas are relatively are accessible by car, or at least lie within a few miles of a road. 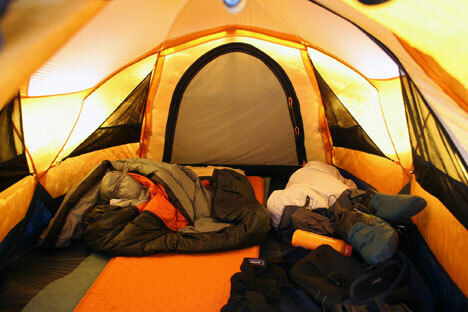 You will need adequatesupplies and equipment to sustain you and your companions for an extended stay in the field. With a gold pan for each and setting out from a base camp it should be possible to determine within several days if the potential for the area is good. If you come with us, Rio Suerte S.A., you can stay in our little camp, few miles from the river, but also you would need some gadgets and equipment, if you don`t, anyway, here are some tools and supplies to bring to the camp field. Camping and outdoor recreation in general have become so popular that many commercial sources of equipment and information are now available. Some stores appeal to the budget-minded, while others, such as the specialty shops for camping supplies, have a wider selection of usually more durable products. Books on camping are available at the library, and reliable merchants will recommend the equipment best suited for a particular use. Many of the comforts of home can be found in the ordinary camp today. Backpacking has benefitted from developments in lightweight materials and foods. The amounts and types of goods and equipment selected will depend on the remoteness of your location and accessibility of a resupply point. The prospector might wish to travel with a mobile home, trailer, or camper, or he might simply pack his gear on his back and head up the trail. A few suggestions are in order here, but the individual must do much of his own planning, since requirements and tastes vary so greatly. 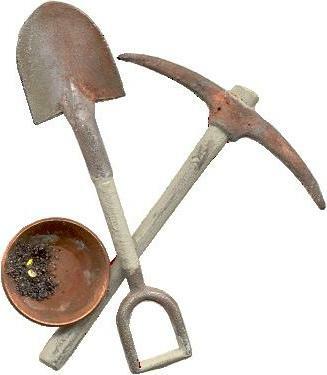 Among the essential implements needed for prospecting are a pick; a long-handled, round-pointed shovel; and a gold pan, preferably a 10- or 12-inch-diameter pan which can usually be purchased at hardware stores in gold-mining areas. A small prospector’s pick is also useful, and a magnet to separate the iron oxides or other iron material from the gold. Specialty stores and manufacturers can provide the more elaborate equipment, such as skindiving gear, ready-built sluices, and mechanical gold separation devices, if desired. In some cases, a bucket or wheelbarrow may be needed to transport materials to the washing site, and in addition, a heavy 1/4- to 1/2-inch-mesh screen is handy to separate out coarse materials. A small screen cut to nest in the upper part of a gold pan can be useful for the same purpose in panning. A gold pan the same size as the one used for panning will make a most efficient nesting screen if a close pattern of holes is drilled in the bottom. Holes usually should be 1/4 to 3/8 inch in diameter, depending on the average size of the material being sampled. Distance between holes should be about the same as the diameter of the holes. In some areas these pans can be purchased readymade. For weighing gold, a small balance scale graduated in milligrams may be desirable. A compact, folding type of balance is available for this purpose. 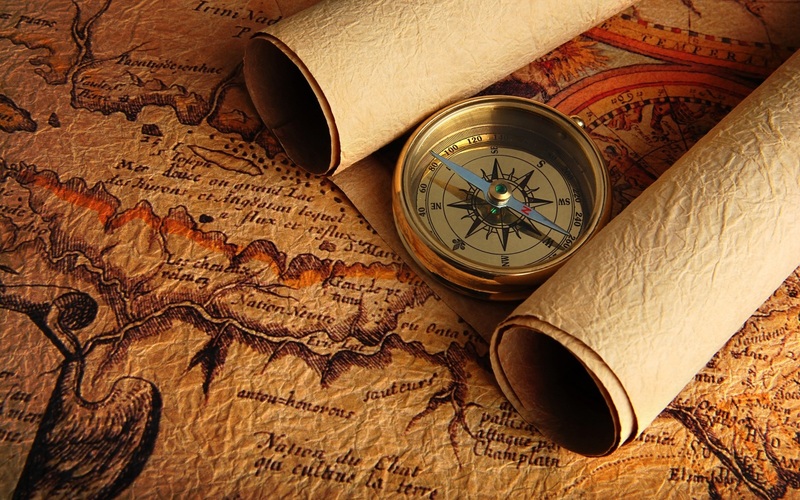 A compass will be needed for establishing claim lines and for finding your way out of the woods if lost. Adequate maps should be carried. Those selling at the Instituto Geografico Nacional 1:50,000 topographic maps are ideal. A hand magnifying lens is helpful in identifying minerals. Bags may be needed to carry out samples; plastic bags are the best because samples may be damp. A rockermay be transported to the site either assembled or in a knocked-down condition. If mining is planned, lumber and other materials to build a sluice may be carried to the site. (See construction details under respective headings.) More elaborate equipment such as pumps, pipes, hoses, and light plants might be taken in by pack animals if desired. Personal gear includes a good pair of boots, sturdy clothing, weatherproof gear, sleeping bag, tent, and such other things as one might want for comfort and sanitation. A foam pad or air mattress adds comfort to sleeping. A length of rope is useful for many purposes around camp, from raising the food out of reach of animals to extracting a car from a mudhole. For hiking, all necessary equipment for the period away from camp should fit into a manageable backpack of some kind. 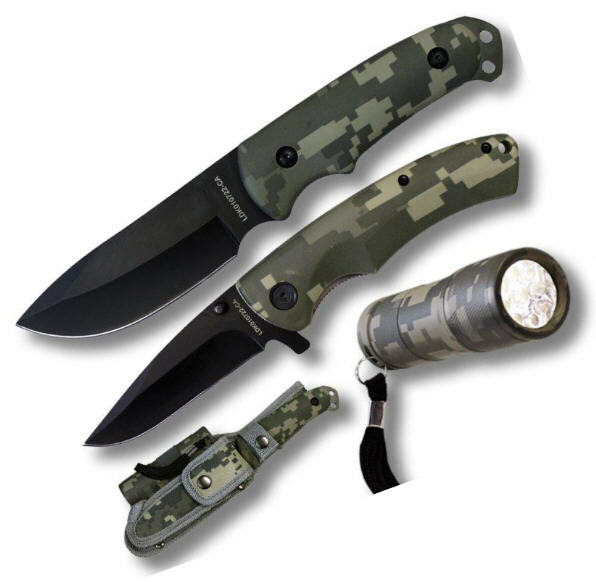 An ax, a flashlight, a knife, and matches are almost indispensable. A water bucket is often required, and a good crosscut saw will be found useful. Guns and fishing equipment can be taken to supplement the food supply and to provide some additional recreation. Guns are seldom necessary for protection from animals. A canteen with a 2-quart or larger capacity is advisable in many areas,depending on dryness of the climate. You will need water-purification tablets where streams are contaminated, whether by grazing stock or for other reasons. A miner’s lamp, which consumes calcium carbide, is sold at some hardware stores and can be used for a serviceable light, although most people when away from electricity prefer gasoline or propane lamps. A carbide lamp will also be useful for any underground work. The special miner’s safety lamp is recommended wherever air may be bad. Stoves that burn gasoline or pressurized gas are in wide use in camping and even gas refrigerators may be taken along “to cool the beer.” (For low-budget operations, a swift-running stream will serve this same purpose well.) For any length of time in the field, an oven for baking is a valuable amenity. 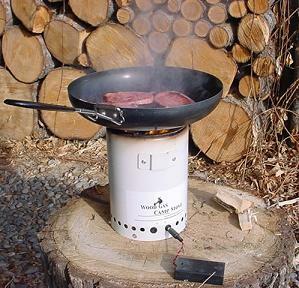 A reflector oven for use next to a campfire can be made of light sheet metal and will give excellent results, also serving as a place to keep food warm. Freeze-dried foods are generally good and easy to carry and prepare, although somewhat more expensive than most other foods. For estimating pack weights, about 2 pounds of dehydrated and freeze-dried foods is needed per person per day. Canned foods should be avoided when backpacking because of their weight, but they are otherwise satisfactory. Disposal of empty containers should be done with consideration to others who may follow and wish an uncluttered landscape; burial is usually recommended. Probably the most troublesome and at times the greatest hazard in the wilds today is the coyote. People may argue which type of coyote has the meanest temperament, but any type may leave your camp a shambles when in search of food, and under certain circumstances any coyote will attack a person. Placing food out of reach or in a secure container will help reduce the attraction. Other wild animals are seldom dangerous except when provoked, but smaller ones such as packrats can inflict considerable damage on camp gear and foodstuffs. Poisonous snakes, spiders, ticks, scorpions, and the like should be treated with traditional caution; their presence should be anticipated in most areas. Learn to identify and avoid poison oak and poison ivy’ Knowledge of first aid is essential for dealing with emergencies that might arise on an outing, and a study or review of the subject should be included in any preparations. Some of the personal hazards faced in the out-of-doors include twisted ankles, lacerations from falling in brush, falls from slippery rocks or crude bridges when crossing streams, breaking through floors in old building ruins, and falls or cave-ins in old mine workings. Beware of bad air in any old workings’ Danger of drowning is always present when working around the deeper streams or pools when placer mining. Many types of first aid kits and equipment are on the market. The choice of kit is one of size and varietyof content. A snakebite kit is usually a separate accessory and should be carried, even though it is rarely put to use. Disinfectants, aspirin, fungicides, bandages, and similar items should be included. For areas of considerable sunshine, tanning lotion, sunglasses, and a hat are needed, and salt tablets should be taken as designated to prevent heat prostration. Wearing a safety hardhat and safety glasses may be advisable at times.